Norton Commando 961 for £26,000? A BUSINESS-MINDED motorcycle fan is looking to turn around a quick buck by selling their Norton Commando 961 SE, one of the first 50 to be produced, for £26,000 on eBay. 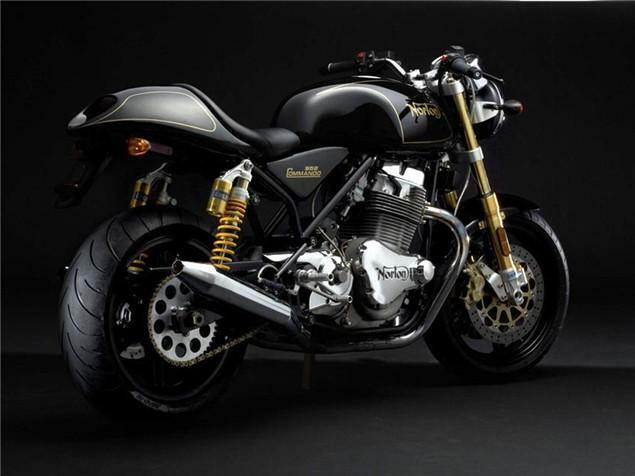 The brand new limited edition naked, which has yet to be delivered to the seller, features Ohlins suspension, Brembo Goldline brakes and a host of carbon goodies has 'sold out' according to Norton's website. The machine was originally retailed by Norton for £15,995 on the road. A limited edition Norton watch, which complements the bike, is included in the sale. See Norton 961 on eBay here.